We provide customised solutions for safely transporting your ODC & OWC cargo. This includes Multi-Modal transportation, use of special equipment like Self Propelled Hydraulic Modular Trailers, Well Bed Hydraulic Modular Trailers, Barge etc. We have successfully executed transportation of Super ODC and Heavy consignments from Thane to Kochi using a combination of HMT for transporting by road upto Ulwe Retibunder and thereon we used Barge to transport upto Kochi, where once again the cargo was transported to the site on Hydraulic Modular Trailers. We have experience in RO-RO (Roll on Roll off) operations. 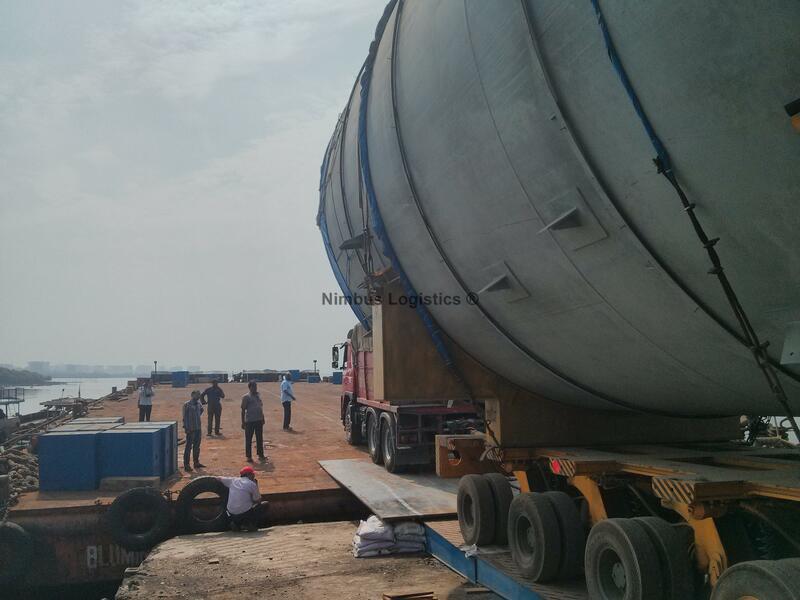 RO-RO operation executed by Nimbus Logistics while transporting Super Heavy and Oversized packages from Thane to Kochi.